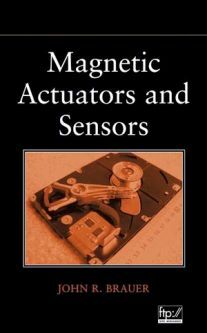 Part Four, Systems, covers aspects of systems common to both magnetic actuators and sensors, including coil design and temperature calculations, electromagnetic compatibility, electromechanical finite elements, and electromechanical analysis using system models. The final chapter sets forth the advantages of electrohydraulic systems that incorporate magnetic actuators and/or sensors A major thrust of this book is teaching by example. In addition to solved examples provided by the author, problems at the end of each chapter help readers to confirm their understanding of new skills and techniques. References, provided in each chapter, help readers explore particular topics in greater depth. With its emphasis on problem solving and applications, this is an ideal textbook for electrical and mechanical engineers enrolled in upper-level undergraduate and graduate classes in electromechanical engineering.